It’s already hard enough in many states to hold accountable those responsible for medical errors at nursing homes, clinics and hospitals. But a new bill now before the U.S. Congress will make it even harder, and in some cases impossible, for any American to pursue justice when injured by substandard health care. Given that credible studies show more people are killed and injured each year by medical errors and negligence than car accidents, this is one issue you should know more about NOW to protect yourself and those you love most. 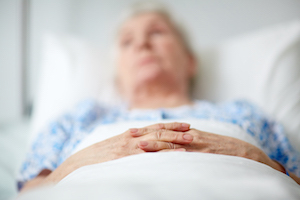 Our most vulnerable citizens are often the victims of medical and nursing home negligence. Jean Simmons kept moving her mother Betty from one nursing home to another after discovering mistreatment and neglect by her mother’s caregivers. When her mother died recently at a nursing home in East Texas, Ms. Simmons wanted justice for the woman who raised her while maybe preventing someone else’s parent from spending the waning years of life in misery. The founders of this country knew how important it was to arm the average citizen with the right to hold powerful special interests accountable in a court of law. Restricting that right in cases of negligent medical and nursing home care will only punish those who have already suffered enough while actually reducing the incentive for big corporations and insurance companies to address the epidemic of preventable medical errors. Later this month, the House of Representatives will take the first step in restricting this right for all Americans by voting on House Resolution 1215. If passed, the bill will then move on to the Senate and eventually the President’s desk. We urge you to take a closer look at this legislation, and if you feel the same way as we do, contact your members of Congress and make your voice heard on this important issue. The Indiana Personal Injury Attorneys at Glaser & Ebbs are skilled at representing clients and their family members injured in personal injury accidents. It often takes legal action to receive fair compensation in these cases. Contact Glaser & Ebbs to learn more about your legal rights and options.